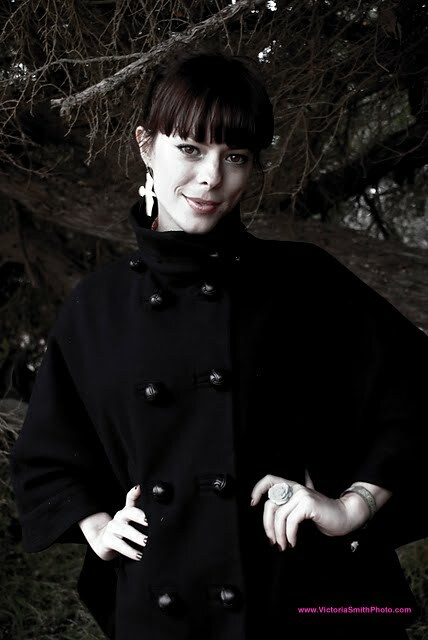 My first impression of Lenka, the internationally growing pop star, was she was stuffy. She sat across from me, her posture stiff as her knees were pushed together, while her hands remained crossed resting on her thighs. She introduced herself formally, and was rather laconic. Later when we spoke over the phone, and I’ll admit, I was entirely wrong. This time she was sweet, warm, and humorous. Originally from “the bush,” Australia, the female pop singer moved to Los Angeles to begin her solo career, after making waves with indie experimental group, Decoder Ring. While most artists I’ve interviewed shy away from the label “pop,” Lenka embraces it. Through our conversation it became clear that pop for her doesn’t mean diluted (as many indie/underground fans might argue), it means reaching out. With a bubbly style that is positively lifting through sweet melodies, and her childlike vocals, Lenka’s music is affectionate like warm tea on a cold day. 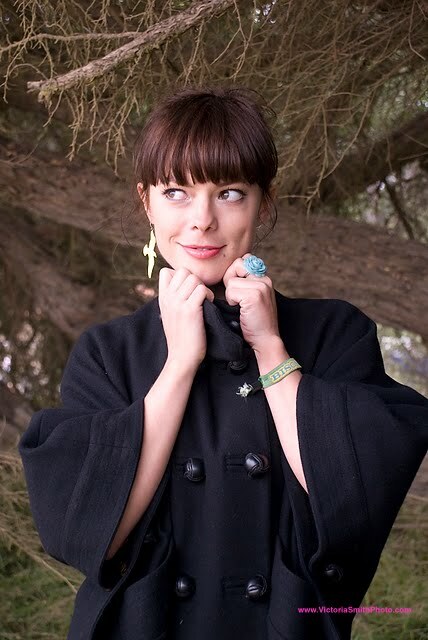 Sitting in her home outside Los Angeles, Lenka spoke to SFCritic about making music, and the growing process of creating her self-titled debut. SFCritic (SFC): When you signed to Epic, your bio said you told them your vision and they liked it. What is your vision? Lenka (L): Creatively, it is what it turned out to be which is the visual identity of being very crafty, childlike, and not to shiny pop. On a more a career path, using the word vision, I really wanted to do lots of things, not just make albums. I wanted to collaborate with people, different things within the art, like theater, art, fine art, and film. (SFC): When you joined Decoder Ring, what was your role in the production, writing and song process, since Decoder Ring was mainly instrumental? (L): For the first album that I did with them they had already done all the music, and they sent me a CD and I wrote some vocals over that. For the second album, we worked through improvisation and I would usually play the synthesizers. I actually learned a lot about different ways to write music. It’s very different than writing pop songs over here, in LA. (SFC): Without getting too much into detail, would you care to elaborate about the difference between American pop? (L): It’s more like verse, chorus, verse, chorus, bridge, chorus, bridge, etc. Then it’s three and half minutes, and radio friendly. It’s got to have a hooky chorus, a catchy melody and those priorities are very much in your mind. These are things you’re thinking about writing [in the US] in your songs. Whereas, experimenting by putting some emotions and melody into it, and then getting the textures of the sounds. However it turns out, that’s how it turns out because you’re not aiming for commercial radio. Good music, I reckon always have a hook, no matter how experimental. (SFC): Would you say when you began writing your solo album, you were aiming to create a pop sound? (L): Yeah I did. I wanted to make a happy sounding album, and that turned out sounding pop’ish because of the choice of instrumentation, the sweetness, the melodies and lot of major keys sound happy or poppy. Coming from an underground music, I wanted to aim my music at a broader market. I wanted to involve everybody to enjoy my music, not just those that search out experimental music. I sort of thought that there was something a little to highbrow about being in an indie band because “you’re only allowed to listen to us because you’re cool enough to look at these web sites.” I kind of wanted to create music that every teenager could enjoy and hopefully is a little different than the normal pop music that’s out there. So I did choose the genre on purpose, but I was really adamant about not sounding normal. (SFC): With your past in acting, and now your career in music, have you always wanted to be in the spotlight? (L): Yeah, I think I’ve always been an extrovert entertainer type, since I was a toddler. Since I could talk, walk, I was singing and dancing, but I grew up in the bush. I was mostly doing it by myself, for the trees. (SFC): Did you ever have any imaginary friends that watched you? (L): I had two imaginary friends. They weren’t as much an audience, they were more collaborators called Keppy and Dooy. I just used to imagine that if I was looking at a bunch of trees they were the audience. Then when I moved to suburbia, in Sydney, we had a swimming pool and that was the audience, so I used to do shows for the swimming pool. Sometimes now, if I’m feeling that weird confusion that you can get on stage, when things feel weird and not right, I just imagine that’s what I’m doing, performing for inanimate objects. (SFC): What was the name of your imaginary friends? (SFC): You’ve described your parents as hippies. Would you describe yourself as a hippy? (L): Yes. I’m a secret hippy. I eat very wholesomely, and approach life with as much awareness with regards with being conservative and respectful with nature. (SFC): What are other things you’ve learned about yourself when making music? I learned that I do need to be in control, to quite a large extent. Early on, I didn’t speak up because it was my first time making a solo album, because I was used to being in a band, and I was also in a French speaking place being in Montreal. I just sat in the corner accepting what was going, and I started feeling really weird. I think I now know who I am more musically, that I’m going in two different directions, so I might work with one or two producers. (SFC): What directions are you going? (L): There are some dancing songs I’m writing, with a little bit more meat on their bones. There is some really slow stuff as well. I think that will take two different minds to bring them to light, but that will come next year. (SFC): A moment ago you were talking about being in a French speaking place in Montreal, and it being weird. What was weird? (L): I was working all these musicians, or engineers who were French or French-Canadian. Occasionally, they were all speaking French together, and then they turn and look at me and ask “Do you want it like this, or that?” Hours would go by where they were talking about stuff, and not involving me. So I kept with it for about two days, then I felt it was really weird and finally said that’s enough no one can speak French anymore. It was really hard for them because that’s their first language, but I needed to be involved. In general, it was about asserting myself. (SFC): I noticed that a lot of your songs have emotional advice or personal support. With your friends and family are you usually the one providing or receiving advice or support? (L): Definitely both. I do require a fare bit or support, but I’m good at giving it too. (SFC): How do you live like you’re dying? (L): Just trying to remind myself to use the time that I’ve got. I’m not that good at practicing what I preach [laughs]. I’m lucky that I get to perform these songs all the time so I can remind myself that’s how I want to live.